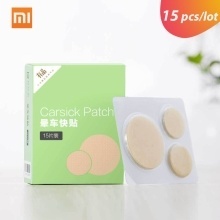 Suitable for carsickness airsickness and seasickness. Skin has abnormalities, wounds, eczema, inflammation, etc. Please use with caution. People with allergies, please use with caution. If you have an allergic discomfort, stop using it immediately. This product is a one-time item and cannot be reused. Please use as soon as possible after opening the bag.